Rise in incidences of chronic diseases is boosting immense need for surgical drain devices. Increase in the number of surgeries is resulted in growth of the market as the demand for these devices in various surgeries are growing. Increase in smoking and alcohol consumption, which results in to the rise of cancer-related surgeries. Rising number of cancer-related surgeries are boosting growth of the global surgical drain/wound drainage market. These devices are majorly used for removal of fluid and air buildup at the surgical site. Numerous devices are used to prevent accumulation of fluids such as infected fluids, blood, and pus. These devices are helps to reduce buildup of air and characterization of fluid. Application of type of drains depends on which surgery is being performed. A variety of drain devices are easily available in various sizes and shapes for different types of surgeries. For instance, active drains are not exposed to the atmosphere in order to prevent growth of bacteria. They are capable to keep the wound dry and remove excess fluid efficiently. Despite of availability of active drains, passive drains are used to reduce discomfort and pain and prevent mechanical tissue injuries. One of the key players, Acelity has developed a product known as ABThera that uses negative pressure to remove peritoneal fluid and reducing edema in abdominal surgeries. The product provide medial tension which helps minimize fascial retraction and loss of domain, provide separation between the abdominal wall and viscera, protecting abdominal contents, and allow rapid access for re-entry and does not require sutures for placement. The ABThera provides a closed system to help for isolating and protecting abdominal contents from external environment. It helps surgeons to control open abdomen surgery. Launch of this type of advanced product is effecting growth of the global market substantially. Closed suction drainage systems are widely used therapeutically and prophylactically after surgery to drain out air and accumulated fluids, notably blood and pus, and facilitate wound healing. Surgical drains are getting increasing acceptance in a variety of surgical procedures, especially those related to thyroid and breast. These wound drainage systems have also become common for healing wounds and reducing the occurrence of infection in abdominal procedures and orthopedic surgeries, notably in joint replacements. The rising number of surgical procedures of all types, coupled with growing need for drainage systems for perirectal wounds, has propelled the demand for surgical drains. Advancement in surgical techniques will inevitably bolster the efficacy of wound drainage systems in the years to come. Constant advancements made in techniques for the management of surgical wounds are key developments expected to offers promising prospects to these players. The growing number of surgical procedures in various developing and developed regions, especially those related to orthopedics, is a primary factor bolstering the demand for wound drainage systems. The growing popularity of closed surgical drainage systems for reducing infections and the risk of wound haematomas is a notable factor boosting the market. Constant advances made in the wound drainage administration techniques are expected to improve their efficacy in orthopedic surgeries, thereby stoking the popularity of drainage systems. However, a number of reported complications in the administration of surgical drainage systems and controversies with regard to their effect on improving the surgical outcome are notable aspects likely to constrain the growth of the market to an extent. With growing scientific evidence on the efficacy of these systems, surgical drains are anticipated to gain traction among clinicians in managing surgical patients, with an aim to boosting outcomes in different clinical settings. Active wound drainage systems is increasingly occupying a key role in improving the outcomes of cardiothoracic surgeries, especially in pediatrics. In recent years, this appears to be driven largely by substantial technological advancements in the medical devices market. ClearFlow, Inc., a U.S.-based medical device company, which develops or manufactures active wound drainage system for draining out blood and fluid, announced in June, 2017 that it received United States Food & Drug Administration (FDA) clearance for its proprietary active clearance technology aimed for preventing or reducing chest drains from clot occlusion in adults as well as children after cardiac surgeries. Called the FlowGlide System, the device will help in boosting the clinical outcomes of cardiothoracic surgeries. The company builds upon its technology used in the earlier generation of its Pleuraflow chest tubes and the recent FDA clearance is expected to bolster its product portfolio in multiple medical device market areas, with a focus on wound drainage market. The company believes its new system will prove to be a robust interventional technology for retained blood syndrome (RBS) that constrains cardiothoracic surgical outcomes. The device manufacturer stated that the efficacy of the device rides on favorable results from several clinical studies in preventing RBS. Such regulatory developments bode well for the overall market. Some of the regional markets for surgical drains are North America, Europe, and Asia. Geographically, North America is projected to account for prominent revenue share of the market during the forecast period. The substantial demand for surgical drainage systems across the regions can be attributable to the growing prevalence of acute and chronic wounds post-surgery and the rising number of surgical procedures of all types. Meanwhile, Asia is predicted to rise at an impressive growth rate during the assessment period, driven by a burgeoning geriatric population and rising demand of advanced wound drainage systems. A growing number of players seek to tap the vastly emerging opportunities in unexplored markets, especially in emerging economies. Prominent players are focusing on bringing notable technology improvements to bolster their product portfolio, in order to consolidate their positions further. 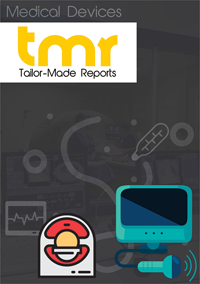 Top players operating in the surgical drains market include Medtronic Public Limited Company, Cook Medical, Medline, Redax, Romsons, Stryker, Ethicon, ConvaTec, and Cardinal Health.